We offer various non-destructive electronic detection systems for FT-ICR Cells/ Ion Traps. They allow for high-resolution analysis of particles, being stored in your Ion Trap. 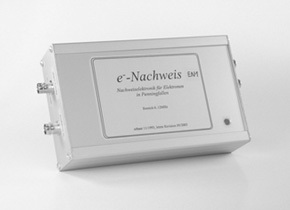 The photo shows a detection-amplifier for nondestructive detection of electrons in Traps, using their axial oscillation.